Used tyres are waste for some, mosquito nests for others, but a great wealth for Basétégé Kamagaté. He uses it to make chairs, tables, mirrors... The activity rolls and feeds his man. They are no longer condemned to end up on the streets of Abidjan. From now on, used tyres can be found in lounges, restaurants, where they serve as tables, armchairs or footstools. Basétégé Kamagaté, a 33-year-old Ivorian, has decided to give them a new identity, a new utility. 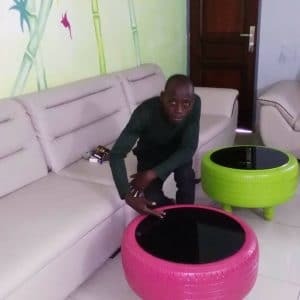 Since 2016, he has transformed these mosquito nests (rainwater stagnates inside and mosquitoes lay their larvae, editor’s note) into colourful and neat furniture. He then sells them for a living.” I want to keep prices relatively affordable, between 20,000 (30 euros) and 85,000 (129 euros) CFA francs, justified by the use of good quality materials to dress the tyres: hand turned wood, foam and quality textiles, chosen by the customer,” he said in a report from the news channel France 24. By recycling these objects, Basétégé Kamagaté preserves the environment in more ways than one. First, it prevents them from ending up in the wild and sometimes in streams. Or burned in the open air, as can be seen in many African cities. 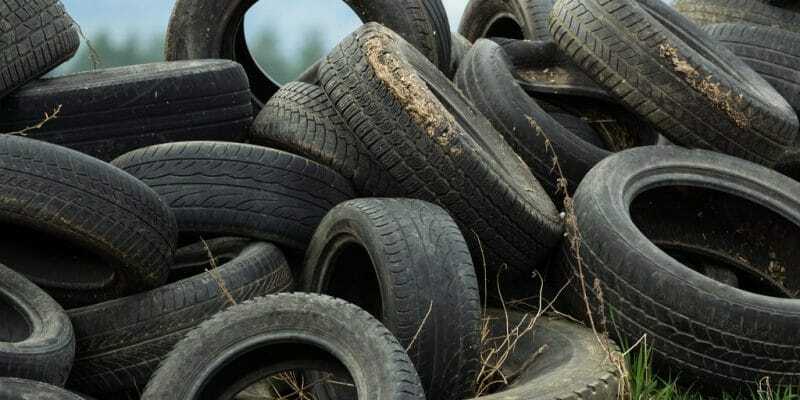 Burning tyres emit toxic smoke loaded with heavy metals. They generate fine particles, with polycyclic aromatic hydrocarbons, metals and gases such as sulphur dioxide. A very dangerous cocktail for human health.” I conduct this activity in order to protect the environment. I thought I could recycle the things I found on the street. It is true that I could not strip Abidjan of all its waste. Nevertheless, if I take a single object from the street, manage to give it another shape and it ends up as furniture in a restaurant, a garden or a living room and not in nature. I would then have contributed to the fight against environmental pollution. In 2017, the young eco-entrepreneur received the RSE Awards for his commitment to the protection of nature (this prize aims to promote eco-responsible companies that, without harming financial profitability, care about the well-being of biodiversity, editor’s note). The fight is far from over for Basétégé Kamagaté as he dreams of going further: creating a more formal company.” I would like to have a structure dedicated to my activity, a kind of large workshop where I would give all the shapes I want to tyres. I also sigh after a means of transport. I also want to employ 10 people,” he adds. In this way, he will continue to breathe new life into the tyres and smile on the faces of his ten employees to come.